What are the things that you worry about when traveling overseas? Wondering how to get yourself to various tourist spots in Japan? You might struggle about the language communication problems too? But, joining tours from Hato Bus would solve the problems mentioned above. Certified tour guides will explain in either English or Chinese during the trip. Just by riding the bus tour, you can enjoy seasons in Japan like visiting Mt. Fuji, playing with snow etc. You are free to bring your favorite food into the bus for your better experience. In this article, we are going to introduce 2 of the most recommended tours from Hato Bus. shoes, interior, children's goods, cosmetics, general goods, and so on, can be found here. There is also a clothing repair corner, so if you have extra time, you can adjust items to your size immediately. You can also benefit of comfortable services such as a food court, free Wi-Fi service, a first aid room etc., and you will have a lot of free time for shopping. Also, during the night time at “Flower Park,” is famous for wisteria trellises, an illumination event is held, giving off a completely different feeling from daytime. The illumination is certified as one of Japan's three major illuminations, as certified by the Night Scenic Sightseeing Convention Bureau. 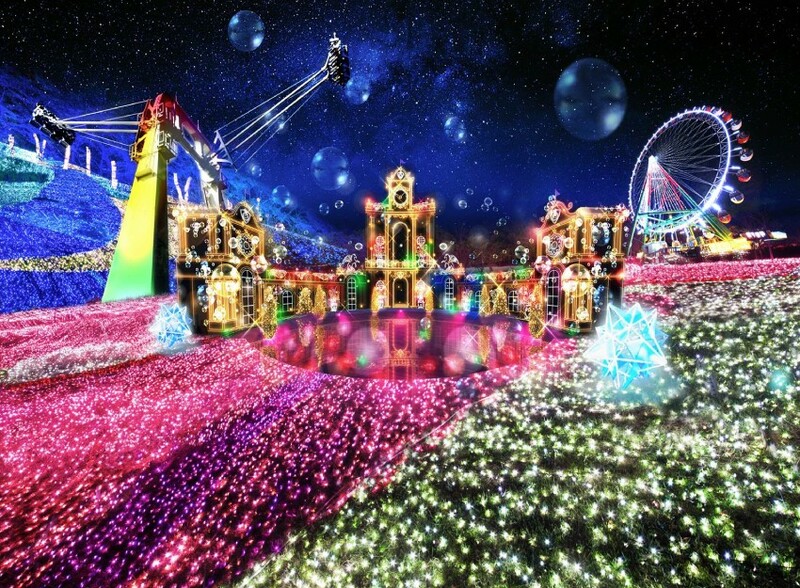 It is even chosen as the best Illumination Award in Japan. A park illuminated with about 4,500,000 brilliant spheres is another highlight. Please take lots of photos and show them to your friends! 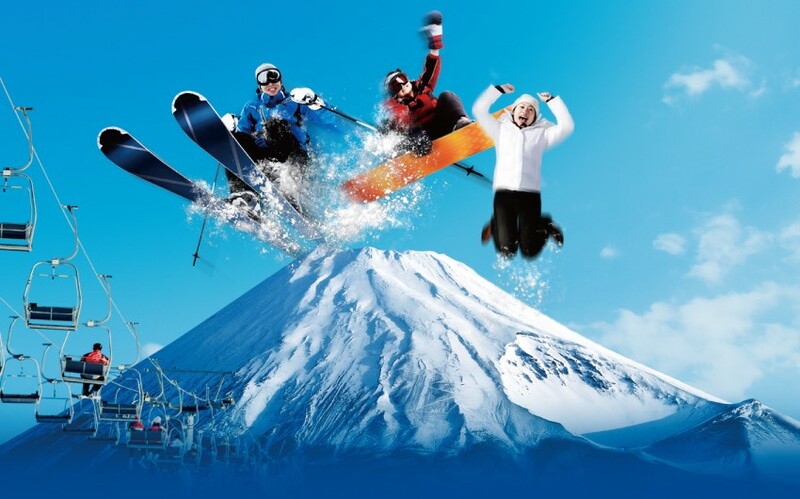 Mount Fuji & snow; a course that includes two major elements to enjoy Japanese winter! In Japan, Mt. Fuji is a very famous spot which stood out against the sky glow with the sitting sun. Even more so when it is covered by snow. This plan includes snow game at the ski resort located in the second station of Mt. Fuji. Here you can get a little taste of winter in Japan. It’s a perfect spot to take photos and videos that you can share with your friends. Small children can play safely, so it’s perfect for families. Also make sure to see the illuminations at Lake Sagami. You can enjoy an experiential illumination of "playing with light," as well as the overwhelming scale of 6,000,000 brilliant spheres, making it Kanto's largest class. 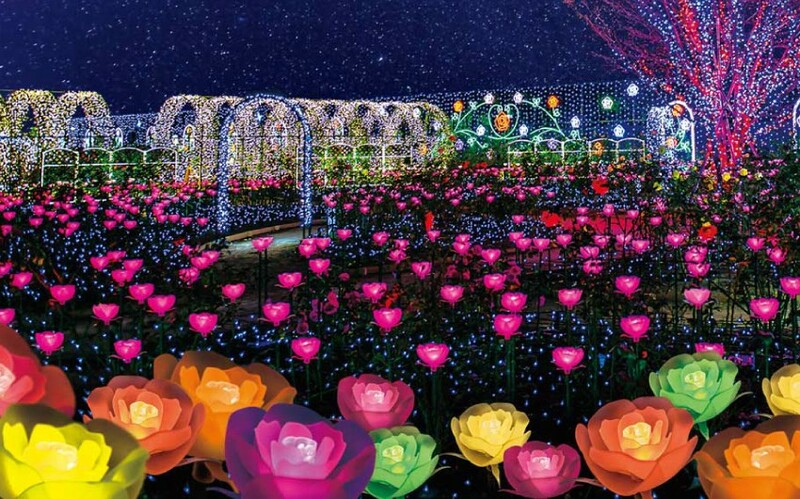 It was designated as one of the three major illuminations of Kanto in October 2018. 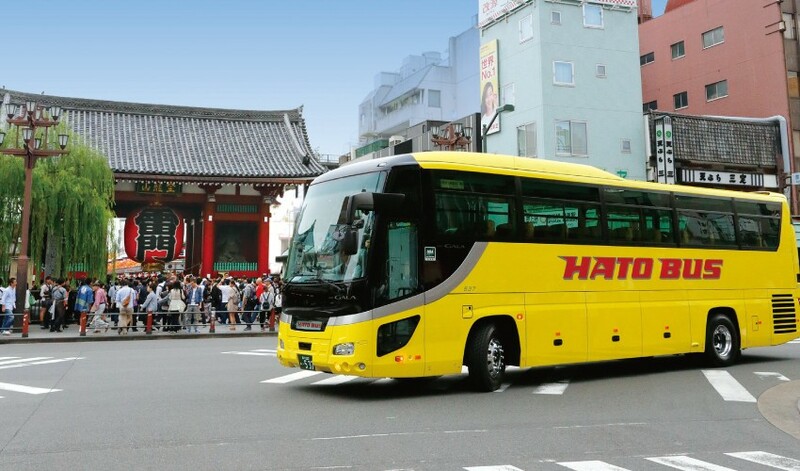 Now, on your next journey, choose Hato Bus for your trips. time meaningfully. For your next trip, choose Hato Bus!! ★The yellow bus you see running all over in the city of Tokyo. What bus is that? Let’s check out the charm of Hato bus!